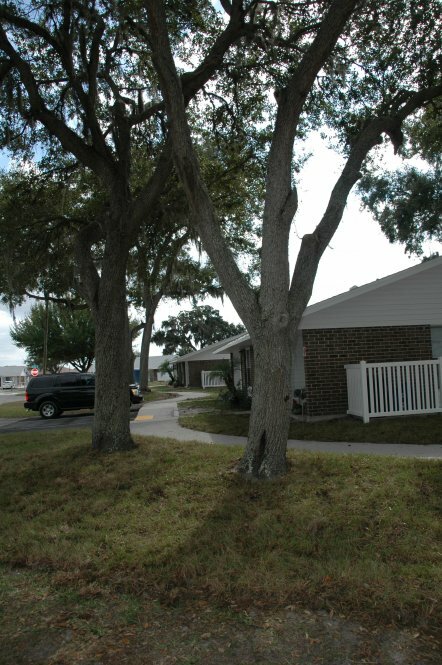 Palmetto Villas in Palmetto, Florida, offers two and three bedroom residences in single story designs. Each residence features a contemporary layout with step-saver kitchen. Palmetto Villas is the perfect community for those looking for affordable living apartments in the Palmetto/Bradenton area. Palmetto Villas is in easy driving distance to the Gulf of Mexico, shopping, schools and banking. A major hospital is within a few minutes drive. Several elementary schools, two middle schools and Palmetto High School are nearby. The City of Palmetto is part of the Bradenton-Sarasota-Venice metropolitan area. Tampa and St. Petersburg are only a short drive away. Emerson Point Preserve on Snead Island is a favorite place to visit for picnics, jet skiing, fishing and enjoying nature at its best. Imperial Lakewoods Golf Course is an 18-hole championship course in Palmetto offering some challenging golf. Anna Maria Island provides a beautiful, white sandy beach right on the Gulf of Mexico. Visit us soon and discover how you can enjoy living at Palmetto Villas. We will gladly show you how easy it is to make your home here. Palmetto Villas is an equal opportunity provider. Two bedroom apartments are 725 square feet. Three bedroom apartments are 925 square feet. Palmetto Villas – designed for affordable living in the Palmetto/Bradenton area. Palmetto Villas is easy to find: South on Interstate 75. Exit at Ellenton/Palmetto (301). Right on 301 approximately 4.5 miles. Turn right on 16th Street next to Royal Palm Car Wash. Travel one mile to 26th and turn left. Continue straight and the leasing office is on the left.